There were two important reports on the U.S. economy released this morning. First, data from ADP showed that 237K private-sector payrolls were added to the economy in August. That was much better than anticipated and the largest monthly gain since March. 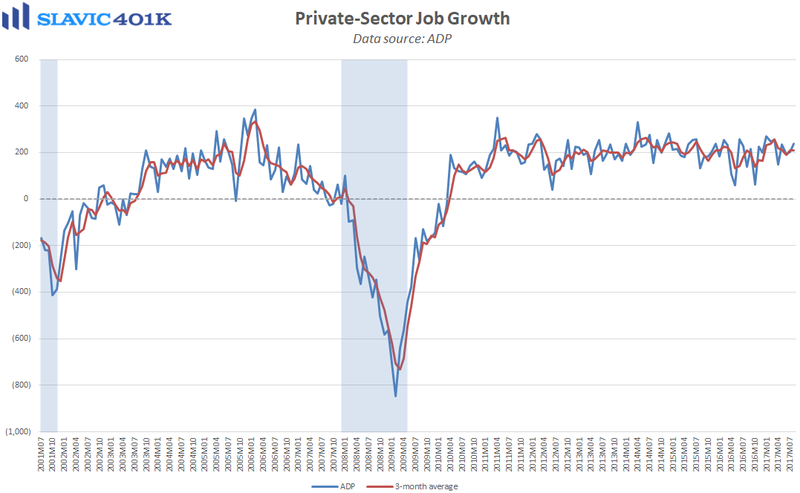 The July figure was also revised higher, which helped lift the less volatile 3-month average for ADP’s hiring estimate to +210K, the best reading since Many and an overall healthy pace of job creation that should maintain the downward trend in unemployment. 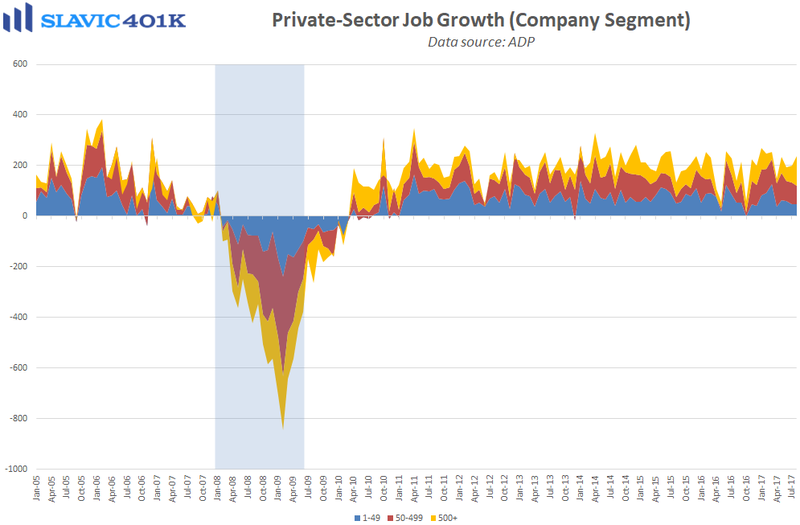 Under the hood, most of the private-sector payrolls added this month were as usual found in the services sector (+204K), including large gains in the “trade, transportation & utilities” and “leisure & hospitality” arenas. Payrolls in the goods-producing sector rose by a solid 33K in August, driven by manufacturing and construction hiring. 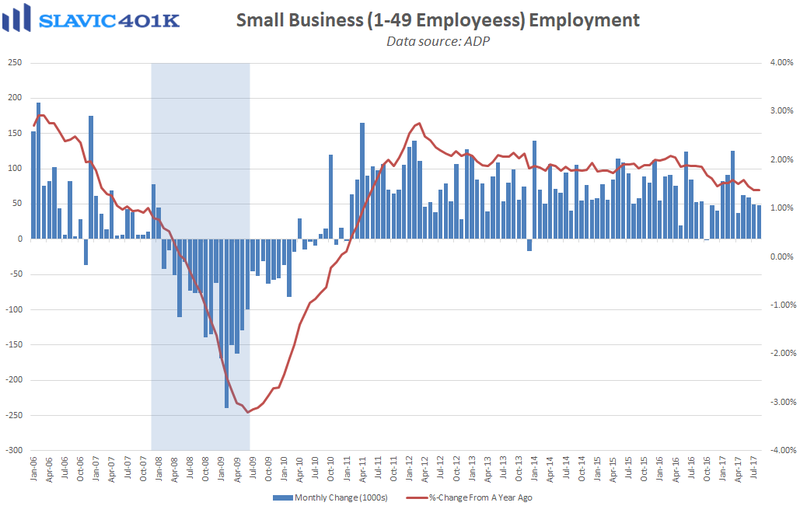 As for small businesses, firms with 1-49 employees added 48K payrolls this month. That was the worst increase since April and represented the smallest share of overall hiring in nine months. Elsewhere, a report from the Bureau of Economic Analysis (BEA) showed that U.S. gross domestic product (GDP) growth rebounded in the second quarter of 2017. 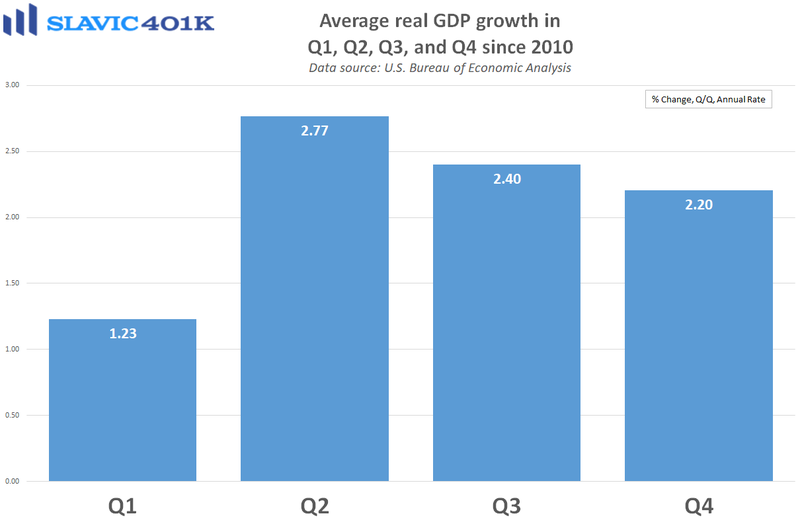 Specifically, real GDP, which measures the value of the production of goods and services in America adjusted for price changes (inflation), increased at an annual rate of 3.0 percent in Q2. 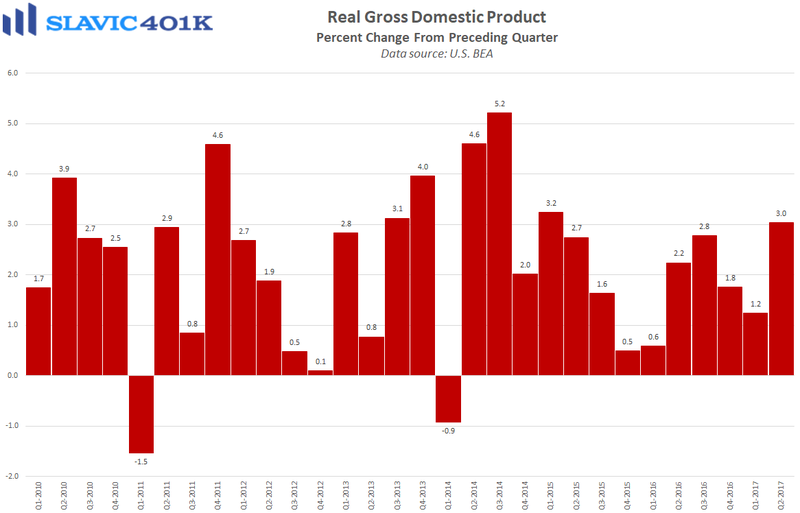 That was a welcome increase from Q1’s 1.2 percent pace of expansion and the best quarter for economic growth since Q1 2015. The 3.0 percent gain was a significant upward-revision from last month’s initial estimate of Q2 GDP growth, due largely to stronger consumer spending on wireless-phone services, used cars, and utilities (electricity and natural gas). Today’s report also showed that corporate profits remained solid last quarter, which is supportive of increased hiring and investment by U.S. businesses in 2017. Moreover, intellectual-property investment grew by 4.9 percent in Q2, up from an initially reported 1.4 percent gain, and outlays on structures and equipment were revised upward as well. Looking ahead, the still unknown fallout from hurricane Harvey could drag on Q3 growth but reconstruction efforts may provide a boost in subsequent quarters.